One online sportsbook is coming to rescue of Nationals bettors. Over the course of the marathon MLB season, baseball bettors are bound to fall victim to at least a few bad beats. And if you wagered on the Washington Nationals Wednesday night, you’re feeling that sting right now. One online sportsbook is coming to rescue of Nationals bettors. 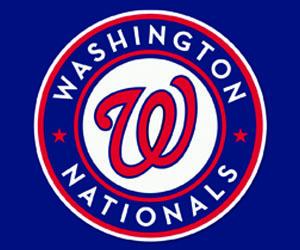 Sportsbettingonline.ag is refunding any wager on Washington (straight bets, parlays, moneyline, runline, etc) for Wednesday’s game after an unfortunate error blew what should have been a winning bet on the Nats. The Nationals lost 4-3 to the Los Angeles Dodgers thanks to a blown routine play in the bottom of the ninth inning by center fielder Michael Taylor, who muffed fielding a ground ball that made its way into the outfield, allowing two runs to score - including an inside-the-park home run from Yasiel Puig for the winning run. That stole a much-needed win from Washington and shredded any betting tickets on the Nats, who were plus-money underdogs in L.A. Wednesday and suffered their fifth straight loss thanks to that costly three-base error. Johnson and Sportsbettingonline.ag have built a positive reputation for looking after bettors burned by bad beats. The popular online book has previously refunded or paid out wagers on controversial finishes in PGA events, NFL games, and college football action. “We want our players to have fun with their wagers – win or lose. But watching that happen and knowing it crushed a lot of bets on Washington, it’s the least we can do,” says Johnson. Check out the latest MLB baseball lines at Sportsbettingonline.ag.